MP3 players are almost a memory of the past, our mobiles have taken over as portable music players : we always carry them in our pocket, they have an acceptable range and some have a very versatile mini-jack audio connector. In total security, your mobile already comes with a pre-installed music player, be it preferred by your manufacturer or the generic Google Play Music. Not satisfied with the results? Here are nine great non-exclusive, no-brand music players for free and focused on local music playback. 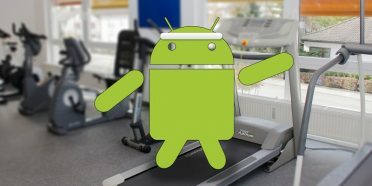 We started the list with Google Play, Google Play Music, not because it is necessarily the best, but because it is one of the most popular and is actually pre-installed in a large percentage of the terminals. The rest you can get for free on Google Play. It is a player that looks more with an all access subscription, but also serves as a local player. 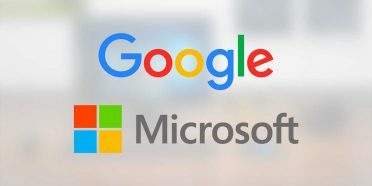 It emphasizes its colorful interface and its integration with other products of Google like the Assistant, although in return you have a player that is something frustrating without a subscription and does not stop to remind you. Some interesting additional functions are the shutdown timer and automatic mixes based on tastes. Phonegraph is one of the revelation music players of recent times, and after trying it you will realize why. 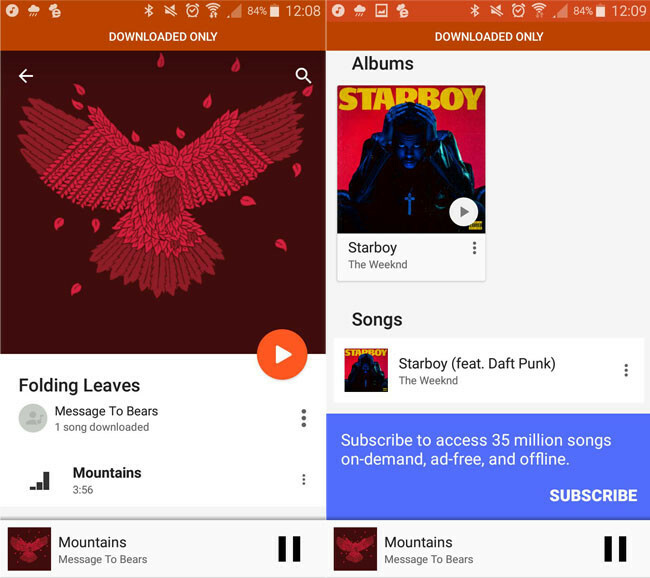 It is lightweight, has a simple Material Design design that is pleasing to the eye and a classic navigation through songs, albums, artists, playlists and … folders. Regardless of how you organize your music, you can find it. 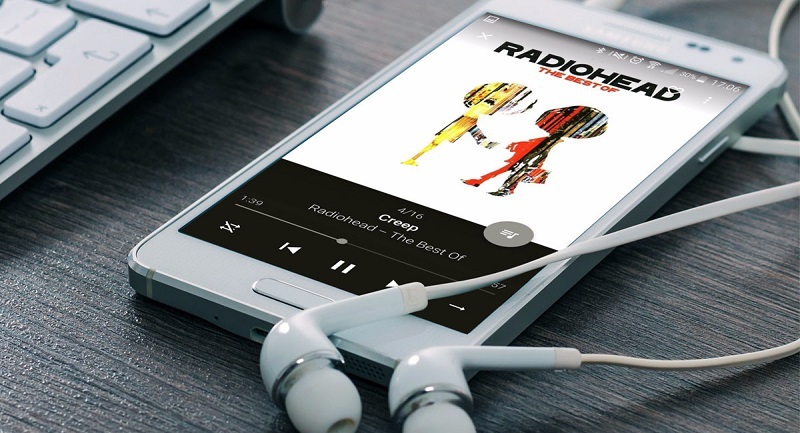 Phonegraph has all the basics, and adds a bit more like integration with Last.fm, automatic downloading of biographies and album covers (you can disable or restrict to Wi-Fi), an ID3 tag editor and many customization options and themes to leave it to your liking. While Winamp for Android is abandoned since 2013, the one who was its archivist on PC, AIMP, keeps its Android player updated. It is not the easiest to use music player and it is not the most beautiful, but anyone who is accustomed to AIMP for PC or likes to listen to old-fashioned music will appreciate the manual mode to add songs to the library. AIMP stands out its ten-band equalizer and broad support for audio formats, which goes beyond the classic MP3, WAV and AAC to include also APE, MPG, OGG, UMX, MOD, MO3, IT, S3M, MTM, XM, AAC, FLAC, M4A, M4B, MPC, WV, OPUS, DSF, DFF and TTA. 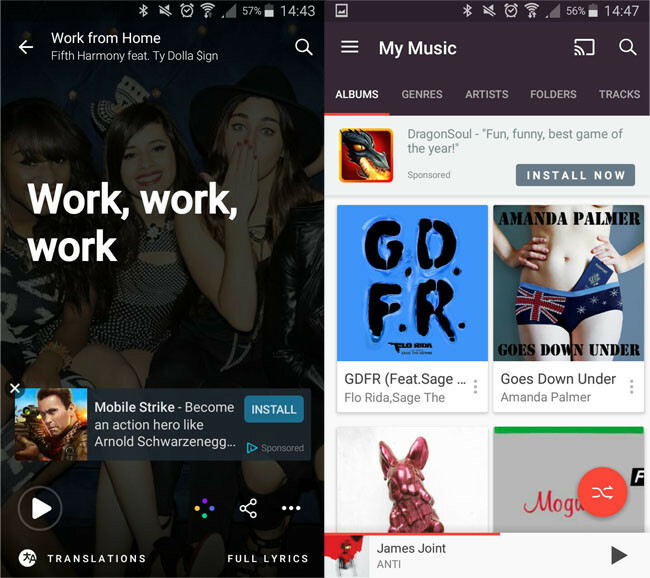 A veteran music player who has managed to stay high in the rankings is Musixmatch. 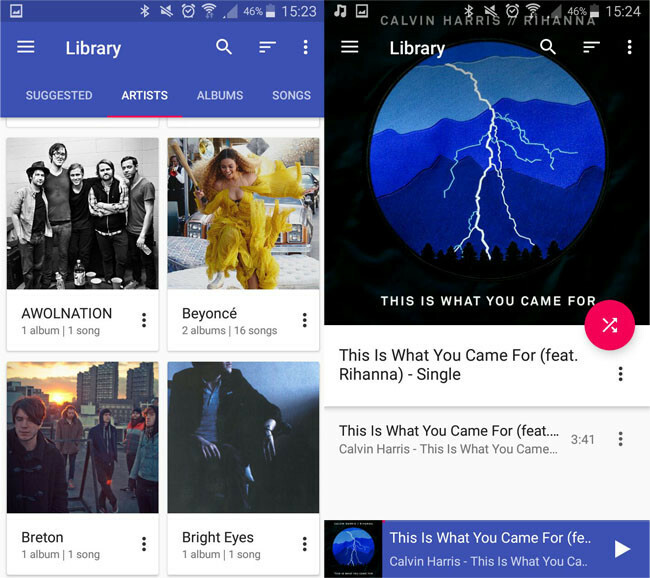 As a player, it has a standard Material Design interface, with view of album, genre, artists, folders, tracks and playlists. However, its strong point is in showing the lyrics of the songs. 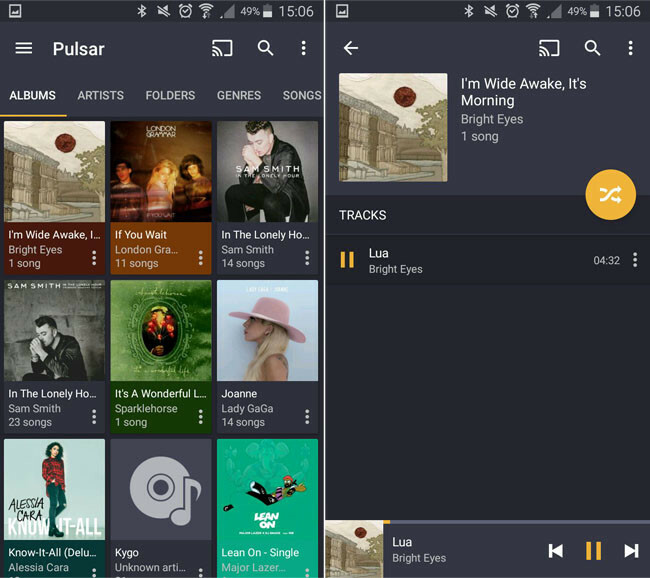 If you are looking for a simple, light and good-looking player, you should take a look at Pulsar. With a very Material Design interface, animations included, maybe the only thing that can be reproached in this section is that the themes included in the free version are not the most beautiful out there. Furthermore, Pulsar includes support to send songs to Chromecast, folder view, download cover art, MP3 tag editor, timer and synchronization with Last.fm. Shuttle is another player focused on being pleasing to the eye, offering classic views (and folders), being fast and relatively light (occupying about 20 MB). The interface is very colorful, with various themes and color schemes, seven of them free and the rest reserved for the paid version. 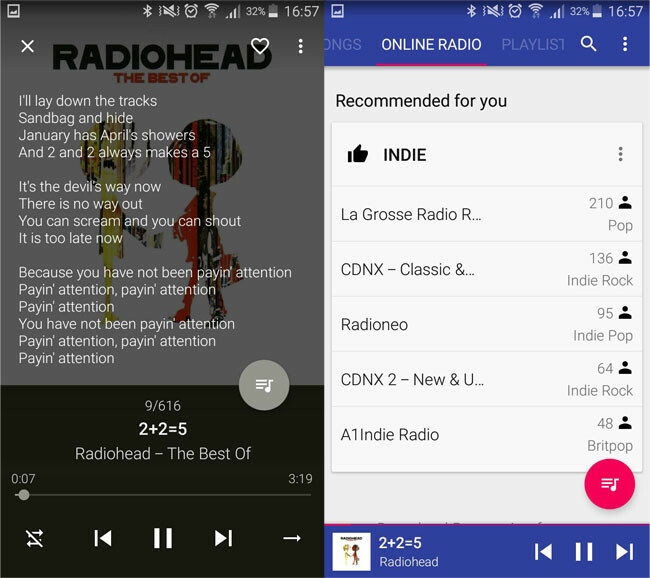 Support for Chromecast is limited to the paid version, but for free you have the download of covers, the six-band equalizer with bass enhancement and the interesting function of sharing songs directly with your friends, In applications that support it. 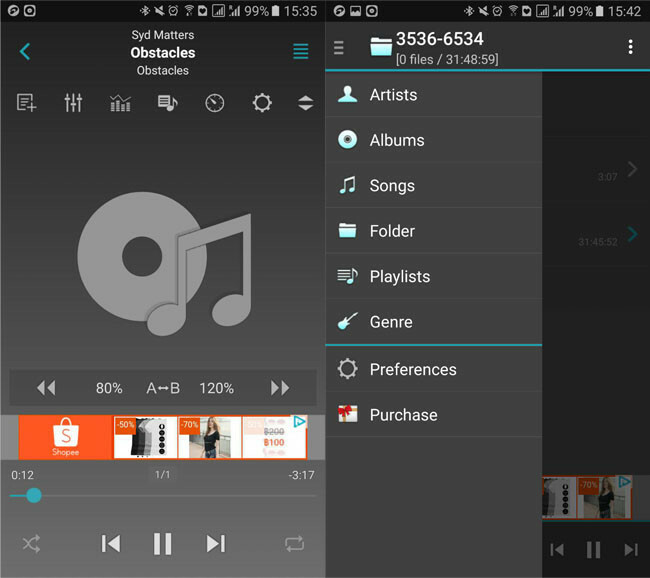 BlackPlayer is a modern music player with many customization options. You can change colors, fonts, animations and themes, although some of the options are reserved for the paid version. It is an agile player, with equalizer with bass enhancement, ID3 tag editor, shutdown timer and a very nice interface that completes downloading covers and photos of the authors with their corresponding biographies. If you do not mind that the JetAudio interface is a little old fashioned, certainly you will not be missing additional utilities with this player. Of course, many of them are external payment plugins or require you to buy the full version of JetAudio. 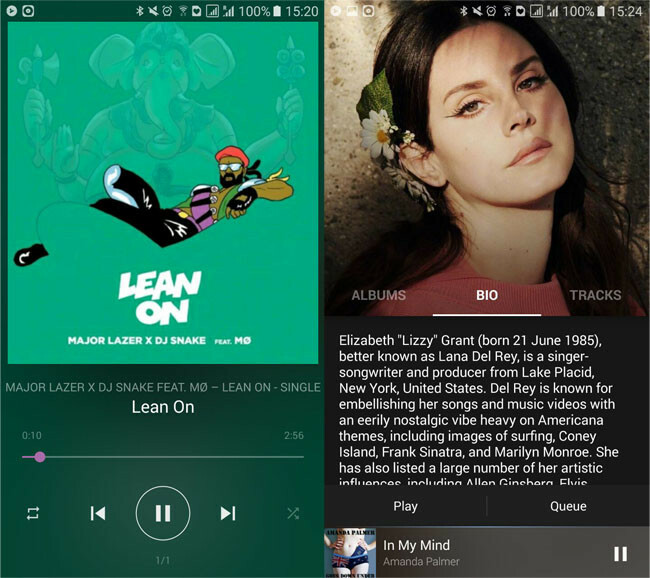 View by artist, album, folder and genre, a good selection of customization settings, support for all kinds of audio formats (MOD, APE and FLAC included), control over playback speed and many other tools await you in this player which, while not the most beautiful, is one of the most complete. 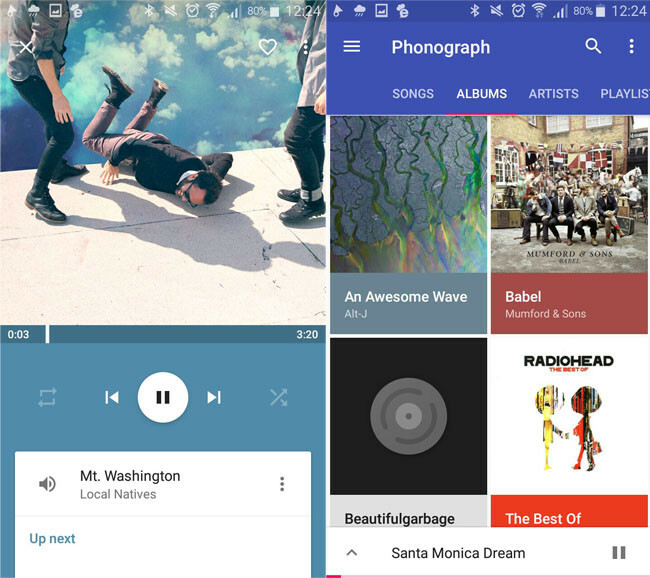 We finished our list with Pixel Player, which has nothing to do with Google phones. If both Design and almost identical interfaces bore you, you can try something slightly more original at the same time as elegant in Pixel Player. Do not have enough songs on your mobile? Pixel Player also has online radios, and even recommends them based on your tastes. 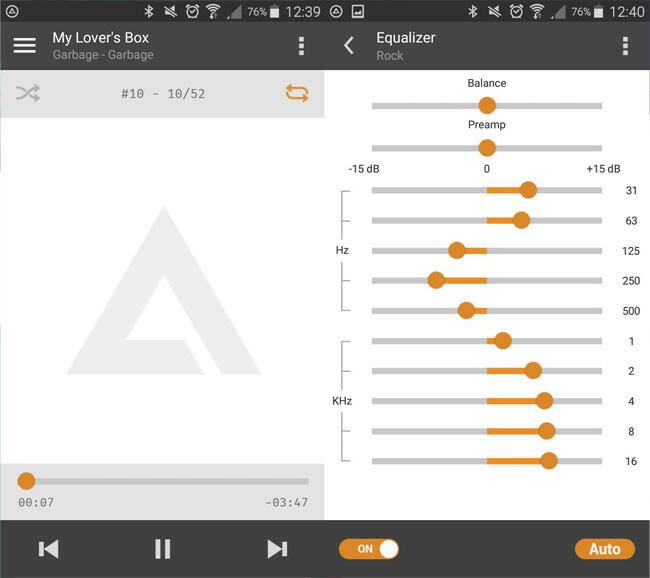 Among its functions are the download of lyrics and song lyrics, an equalizer with bass enhancement and 3D surround effect, many customization options, a shutdown timer and the possibility of filtering folders and songs (omitting for example the effects Sound too short to be songs).